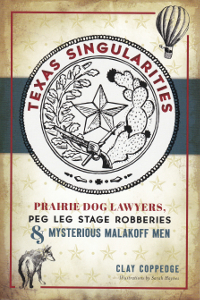 Saturday, September 17th, 2016, 2:00-4:00 p.m.
James Valentino joins us on Saturday with with his newest work, some early Galveston history as revealed through a collection of personal letters. 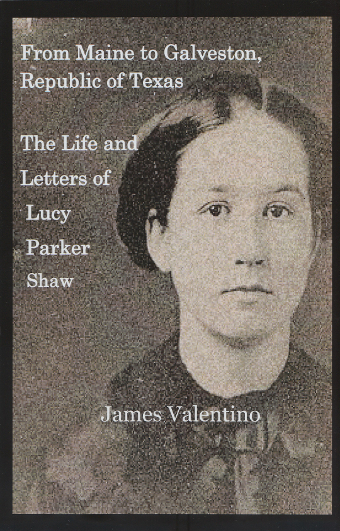 From Maine to Galveston is a fascinating collection of letters from Lucy Parker Shaw in Galveston to her mother in Eastport, Maine. Shaw moved to Galveston in 1838 and the letters cover the years through 1850, touching on topics ranging from family matters to business and politics, public health issues, and notable historical figures in Galveston at the time. The reader will gain a sense of what life was like on the island in the early 19th Century. A Forward prepares the reader for her family’s arrival in Galveston and an Afterward describes what happened to some of the people she mentioned in her missives. Notes throughout the book shed light on the historical significance of the many events and people Lucy mentioned. Professor Valentino obtained his M.A. in American History in 2011 and is currently an adjunct professor at several regional community colleges. 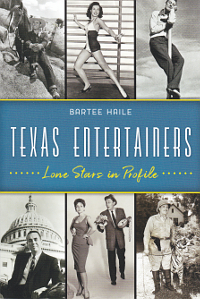 His previous book, Looking Over the Gray-Green Bay, covers true tales of life on Galveston Bay.